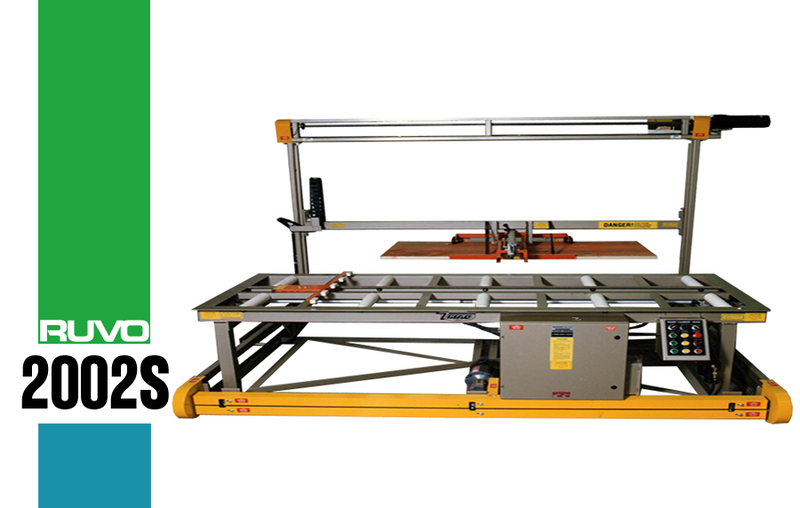 This door lite cutter series of machines provides you with multiple feature options for wood and steel edged door. 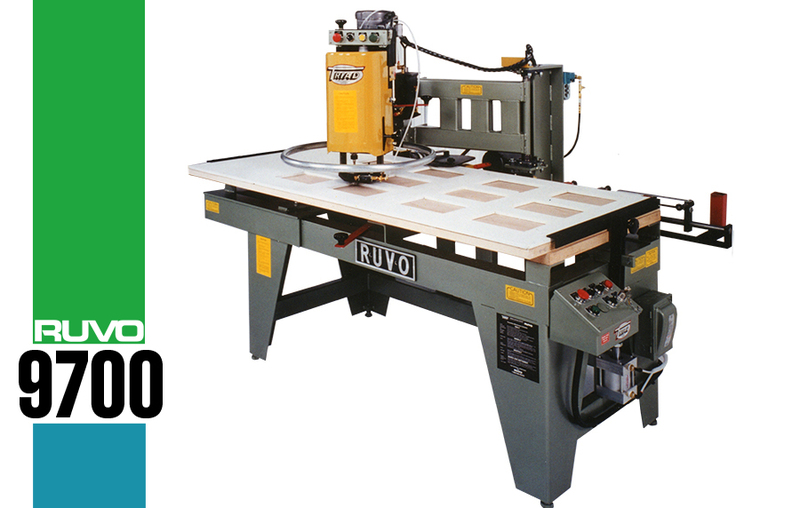 The RUVO 9700 Door Lite Cutter series machines are manufactured to last under heavy use and are the finest available to wood and steel edged door suppliers. The heavy duty, easily operated cantilever cutting arm is key to the model’s speed and efficiency. After the lite template and door are pneumatically clamped, its arm then follows the template edge as an oscillating bit, ½” cutter bores through the door. The optional lock, latch boring and faceplate mortising features provide complete door machining center capabilities. Max Door Size: Door Height 7'0"
Max Lite Sizes: In 3' door: 30" x 60" or 24" x 66"
Lock Sizes: Standard 1-1/2", 1-5/8", 2-1/8"
Dead Bolt Sizes: Standard 1-1/2", 1-5/8", 2-1/8"
Corner Radius: Standard 1/4"( Both Lite and Faceplate) Backset: Selected 2-3/8" and 2-3/4"